Publishing a Blog Post Every Day for 1,000 Days in a Row: Time to End the Streak and Write the Book! He ran every day for at least a mile from December 20, 1964 to January 30, 2017. That’s 52 years and 39 days straight! Ron Hill, of Accrington, Lancashire, is a three-time Olympian, who finished 19th in the marathon at the 1964 Tokyo Olympics, and is without a doubt, my patron saint of consistency. So, I state with some humility that today, Wednesday, January 24, 2018, with this post, I have published an original article on The Olympians for the 1,000th day in a row. When I started this blog on May 1, 2015, as a kind-of first draft of my book on the 1964 Tokyo Olympics, I had no intent of publishing a post a day. But alas, one day led to the next, and so on and so on…. I will continue the streak for a while, but I will no longer fret about skipping a day, or two or three. What little time I have for writing on the weekend will eventually shift to time writing the book on ’64, the raison d’etre of this blog. Now it’s time to do the real writing. Gotta start moving faster. 2020 is around the corner. For the hottest game on ice, the players and owners have entered into a cold war of sorts. NHL commissioner Gary Bettman recently told the press that no meetings have been arranged with the International Olympic Committee regarding the possibility of NHL players competing in the PyeongChang Winter Olympics in early 2018. The NHL schedule and the Winter Olympics schedule overlap every four years. In order to convince he NHL to release its players in the middle of the NHL hockey season, the IOC agreed to pay for the insurance, travel and accommodation of these professional hockey players. The insurance is a key component because it protects the NHL teams against an injury to a star player who could impact team success and/or team revenue for years to come. For the Sochi Olympics in 2014, the IOC sent some USD7 million to the NHL, something the IOC does not do for other sports leagues. The IOC has done so for the past five Winter Olympics since the 1998 Nagano Olympics, but this year the IOC announced they would not pay the NHL for players to come. However, the star players in the NHL view the Winter Olympics as a matter of prestige and pride. 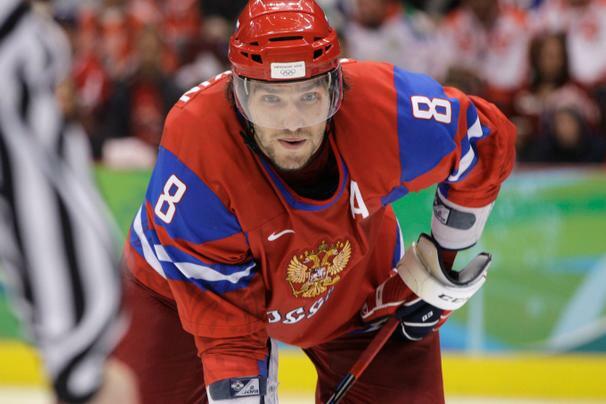 The very best players like Canadian Sydney Crosby of the Pittsburgh Penguins and Russian Alex Ovechkin of the Washington Capitals have said they intend to go, Ovechkin going as far to say he would go without the NHL’s permission. And as mentioned in this Ottawa Citizen article, the owners will listen to their stars. When Alex Ovechkin said he was going to the Olympics, with or without the NHL’s blessing, it didn’t take long for Washington Capitals owner Ted Leonsis to stand behind his star. And why wouldn’t he? Ovechkin is the face of the team. He not only helps the team win games, he puts fans in seats. Major League Baseball stands in contrast to the NHL. Currently, the World Baseball Classic, an international baseball championship series taking place in March, 2017, has the full commitment and support of MLB. And while the major league players from big-time baseball nations of Japan, Cuba, Dominican Republic and Korea are heavily involved in the World Baseball Classic, Team USA is bereft of its stars. In contrast to the NHL players, the Americans have little to no interest in participating. Now, the World Baseball Classic is not the same at the Olympics. And when baseball returns to the Olympics in 2020 in Tokyo, MLB Commissioner Rob Manfred will likely want to ensure his league’s best players are at the Summer Games. Growing the international market for baseball will be a big priority for Manfred. But he has yet to gain consensus with team owners on how to make it work for the MLB when the Olympics will take place in the middle of the 2020 MLB season. Injuries and lost revenue to lost games will certainly be in the minds of the owners. According to this Sports Illustrated article, there are two possible options to make it work: allow the season to continue without interruption, and just free up the players selected to their respective national teams, or shut down the MLB season for, say two-and-a-half weeks, like the NHL has done in the past. The NBA, on the other, other hand, has had the distinct advantage of holding a primarily Fall-Winter-Spring season, while the Olympics tend to fall in the summer, the basketball off season. Traditionally, the NBA has promoted its brand and players globally, and have been a model for building a global business. Their commitment to the Olympics is thus considerable. The issue has been ensuring that the richest and greatest athletes in the world stay motivated enough to train and risk injury during their time off. The US men’s team took bronze at the 2004 Athens Olympics, and were dubbed “The Nightmare Team”. It didn’t bode well when the superstars of the league, Kobe Bryant, Shaquille O’Neal and Kevin Garnett begged off of the team, and Ray Allen and Jason Kidd were out with injuries. After the team’s embarrassing finish in Athens, Team USA appointed Jerry Colangelo to take charge of team selection. His job was to persuade the NBA’s best American players that it was their duty to restore pride and glory to men’s basketball in the international arena. Colangelo convinced such stars as Kobe Bryant, LeBron James and Dwayne Wade not only to join Team USA for the 2008 Seoul Olympics, he got them to commit to playing together for three years leading up to the Olympics. Under Colangelo’s leadership and the coaching of Mike Krzyzewski, Team USA dominated at the 2008 Seoul Olympics to easily win gold. They’ve done so ever since.